As the growing revolt against “supertalls” shows signs of making a dent in zoning policies, not everyone is in agreement on how the regulations should be interpreted and applied. 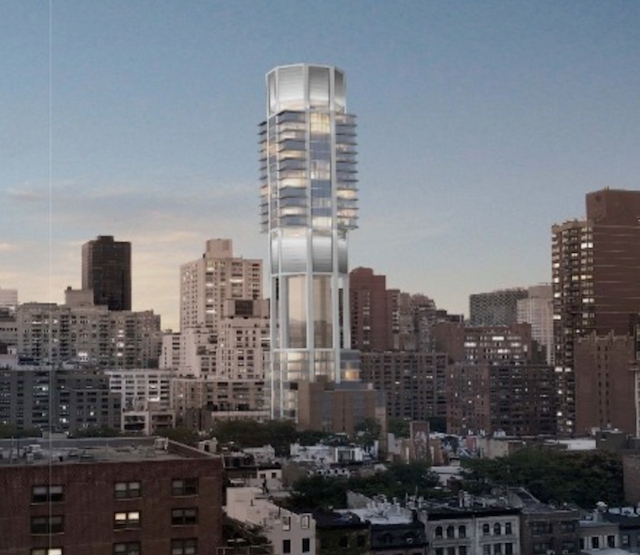 Two weeks ago, the Department of Buildings threated to revoke the permit for a 775-foot condominium tower on the Upper West Side unless its developer, Extell, revised the design of a 160-foot tall mechanical void. Originally intended to house a building’s mechanical equipment, these spaces have in recent years been stretched by luxury developers into excessively tall empty spaces, with the goal of maximizing building heights so that more apartments can be offered on higher floors without violating zoning limits. Then, last Friday, the other shoe dropped when City Planning announced a proposed zoning amendment to regulate mechanical voids. Going forward, voids taller than 25 feet would count toward the residential project’s permitted floor area, creating a deterrent for developers looking to supersize their voids. But as one Upper East Side group is quickly learning, voids are not the only device developers can use to create height. Moreover, not everything that looks like a void is a void. For more than a year, Friends of the Upper East Side Historic Districts has been fighting a condo project on East 62nd Street over a design that incorporates a similar height-adding trick. Developed by Real Estate Inverlad and Third Palm Capital and designed by 432 Park architect Rafael Viñoly, the plan calls for a 510-foot, 32-story tower with a gap between the 13th and 16th floors that would effectively raise the upper half of the building. Despite a challenge from Friends, the Department of Buildings ruled last year that the height-boosting design feature of the building was permitted under existing zoning. And apparently that still holds true. Although the recent turn of events gave Upper East Side residents hope that the DOB would pull the plug on the East 62nd Street design, the DOB on Friday said that nothing had changed regarding that project. “Under the Zoning Resolution, outdoor space is not governed by the same rules as fully enclosed mechanical space, such as what is proposed for 36 West 66th Street,” the DOB statement read. Andrew Rudansky, a DOB spokesperson, later clarified the agency’s position, saying that contrary to reports in the press, plans for 249 East 62nd Street are not considered to have a mechanical void—the only kind of structure that would be limited by the City Planning regulations as currently proposed. The Upper East Side project, she said, had been “one of the main poster children for this issue.” The 249 East 62nd Street plans were reported to be the impetus behind City Planning’s latest efforts to rework the zoning law. City Planning did not immediately respond to a request for comment.